The death of a family member is difficult, even if the death was expected. That being said, funeral home negligence can add insult to injury. While simultaneously processing the loss of a loved one and going through the grieving process, you might be the individual in charge of ensuring that the funeral service and burial go according to plan, which can be stressful in and of itself. When things go wrong, you’ll be faced with handling another difficult situation, but you won’t be alone: Friedman, Rodman, & Frank’s combined 100 years of experience is on your side. You were surely relying on the funeral home or mortuary to properly and respectfully take care of your deceased loved one, but, unfortunately, that may have not happened, and you may have a case for funeral home negligence in Florida. Negligence at the hands of the people who are supposed to take care of your loved one is something that occurs all too often. Whether mistakes occur when the corpse is being processed or after it has been buried or cremated, it should not have happened at all, and you deserve to be compensated for their carelessness. These are but a few examples of what may unfortunately have happened to your loved one while under the care of a funeral home. Do not let these actions go unpunished; allow us to fight for your right to pursue a claim for injustices to your family member and for the distress brought upon you and other loved ones. On behalf of these individuals, we will secure evidence that links their emotional distress to the negligence of the funeral home. If there is any emotional, psychological, or physical harm that has manifested due to the actions or inactions of the funeral home, bring your case to our attorneys for an evaluation immediately. Any mishandling of remains or corpses in Florida is grounds to investigate a case. This traumatizing event can affect your wellbeing for years to come and may evolve into anxiety, distress, post-traumatic stress disorder, or a multitude of other ailments for which counseling or therapy may be in necessary. The best course of action at this point is to collect the names of all of the individuals who were present at the time of the funeral home’s actions or of those who may have any pertinent information. They can all be helpful when presenting your case. Do not speak to any other parties, such as insurance companies or the funeral home, regarding a settlement or making a statement as this can harm your claim. Lastly, but most importantly, speak with an attorney. Our attorneys have years of experience handling claims involving negligent handling of remains, and we can help determine if you have a case to pursue. We are available for a free consultation to discuss your case. 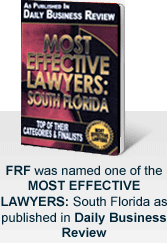 Simply call us at 877-448-8585, or use our online contact form, to discuss the facts of your case.